A snipping tool is a program that allows you to select an area on your screen and save it as an image file. Perhaps you want to use a snipping tool to capture only a portion of an image or you want to use a snipping tool to capture a part of the screen that you can’t directly download. Windows Vista and Windows 7 both have free snipping tools built-in. The Windows Snipping tool allows you to capture to an image file either a section of a Windows screen or a full Windows screen. 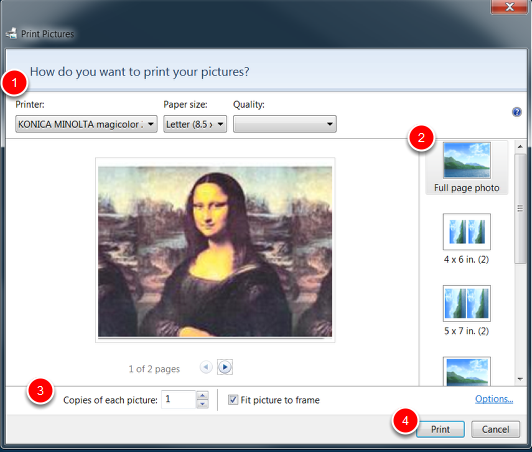 In the last step of this guide I’ll describe how to print witht the free Windows Snipping Tool; the printing option was oddly left out of the snipping tool menu. If you begin to use the Windows Snipping tool regularly, then Windows may automatically display “Snipping Tool” in your program list. However, if you’ve never used it before, or you don’t use it regularly, then you’ll have to locate the Windows Snipping Tool using one of these methods. When the program list appears, Type “Snipping” in the “Search Programs and Files” textbox. Click “Snipping Tool” when it appears in the Programs list. 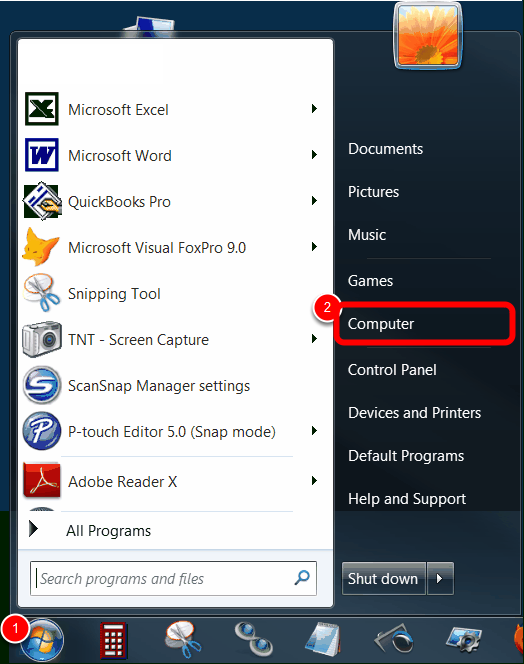 You can also navigate to the snipping tool program, but you may find it more difficult to locate the program when navigating through all the other programs and files listed on your computer. 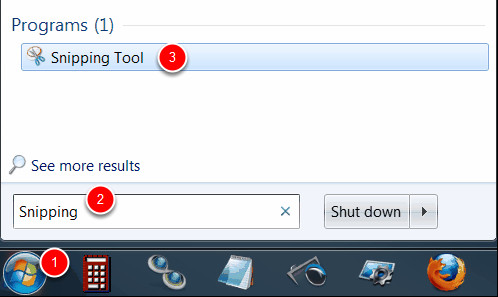 OPTIONAL TIP: If you plan to use the Windows snipping tool often you can drag the snipping tool icon to your Windows Toolbar where you can quickly and easily find it. 1) In the Programs list, click “Snipping Tool” and while continue to hold your mouse button down, drag the Snipping Tool down to your Windows toolbar. When you release your mouse button, the Snipping Tool Icon will appear in your toolbar where you can easily use it without having to navigate. Place your mouse cursor at the top left corner of the image you would like to snip and hold down the mouse button. Drag the cursor to the lower right corner of the image you would like to snip, creating a “frame” around the image you would like to capture. 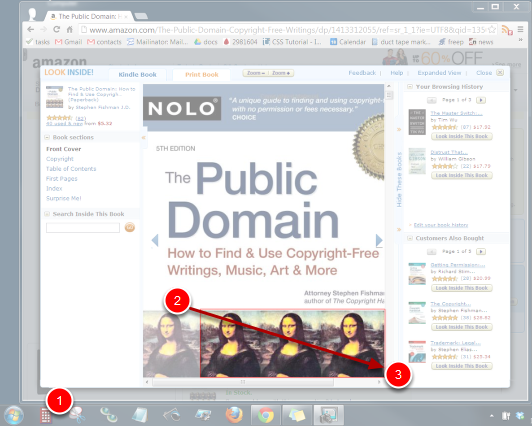 In this example, I’ve “framed” three images of the Mona Lisa from the cover of a book. 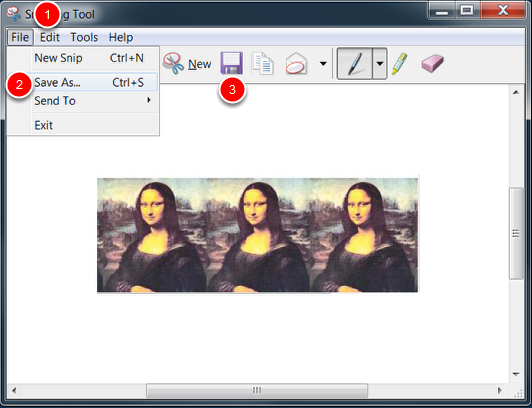 When you release the mouse button, the image you have framed will appear in the snipping tool editor. Optionally, you can click the disc icon on the Snipping Tool toolbar. 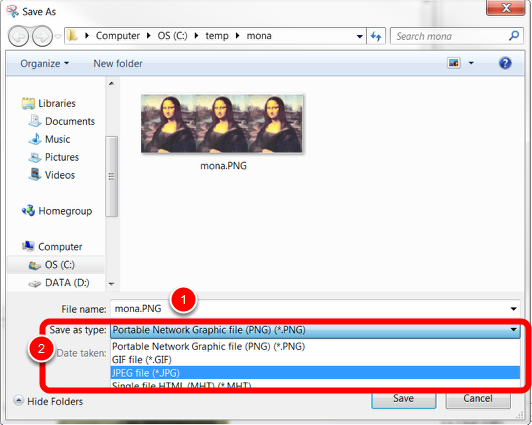 When the File Save dialog appears, be sure to REMEMBER where you saved your image. The Windows Snipping Tool has very limited options. The Windows Snipping tool lacks a “File Open” command so you can’t use the snipping tool to review or edit previously captured images. You can use a pen tool and highlighter to mark the image, but there are no advanced marking tools such as squares, circles and arrows. By default, the Windows snipping tool saves images in PNG format, which should be fine since .PNG is a very popular image format. Now that your image is saved to a computer file, you can use it for your document or presentation. If you want to print it…. LEFT click on the image you want to print. Note that you can hold down your shift key and LEFT-click on multiple images to print. 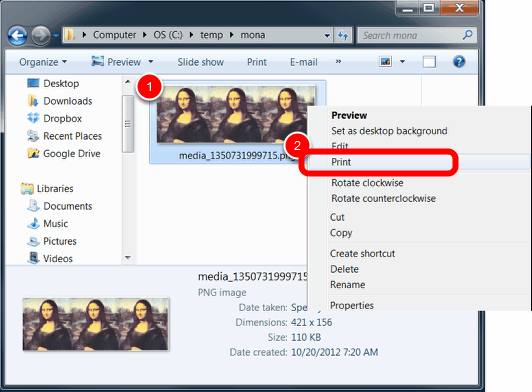 When you’ve selected the image or images you want to print, RIGHT-click on any one of the selected images and select “Print” from the context menu.